This list of road trip games and activities is designed to keep the party goin’ and the peace flowin’ long after the excitement of leaving town has worn off. It’s true that if you are traveling any real distance, it takes a while longer to get to your destination. And with kids it can take A LOT longer! Nursing breaks, potty stops, etc. I mean, it can make your head spin! But, man, there is just NOTHING like the open road! It’s exciting to jump out of your regular routine and into the car on your way to a new and exciting destination. Jamming out to your favorite tunes, singing along with the kids and making fun pit-stops at random places. However, after a few hours go by you get slapped in the face with the reality of the situation. All that excitement turns into “Are we there yet?” “When are we getting there?” “Mom, I have to pee again.” “I want to get out of the caaarrr, I’m booored.” And you might just think of turning around and giving up on the trip…. Don’t do it! Stay in the game. YOU GOT THIS! Take some of these game ideas on your next road-trip so you don’t think about running the car off the road – on purpose. Give the Kids a Pep-Talk before your big adventure. Whaaaat? Where’s the fun in that? The Man and I have found that this one thing can make or break a getaway for our family. If you are unlike us and have a super chill, laid back crew, you may not need to give details and set expectations, but for some it can be a real life saver. Make sure to have a few goodies stashed away so you can reward their good behavior. Travel with a Mascot. Have the kids pick out a stuffed toy from their collection and put them in charge of coming up with unique places to photograph it along the way. Then post pics on Facebook or send them to close family and friends. You could even make a game of it and have people guess where you are. The kids will love it! Give the Kids the Camera to play with in the beginning of your trip to take photos of whatever they want. You can tell them to play ‘photographer’ and later they will help make an awesome scrapbook with all their cool photos! This might be exciting for them(depending on the kiddo) but at the very least it will entertain them for a bit. Bring some NEW Toys! Make sure it’s something they can actually play with in the car. Legos, for example, could be a horrible idea for the car – they are tough to build in a small space while you are strapped down- not to mention their proclivity to fall through the cracks and end up in the floorboards. Our boys, however, love them so much that it’s worth the extra effort. If the payoff for your family isn’t quite the same stick to practical games or toys that won’t wreak havoc on your interior! Games in Travel Size can be purchased at most convenience stores. You can find mini-magnetic chess, shoots and ladders… all the classics without the huge game board and 1000 pieces. Bring the Electronics. They will get used! Items like the iPod, portable DVD player, and any other handheld game devices can serve as incentives for good behavior or just a break when you get tired and want some quiet time to yourself. Load up on Snacks. Everyone is bound to get the munchies on the long drive, and it’s a pain to stop every few hours. Give them treats when they answer trivia questions right, or win a family game. 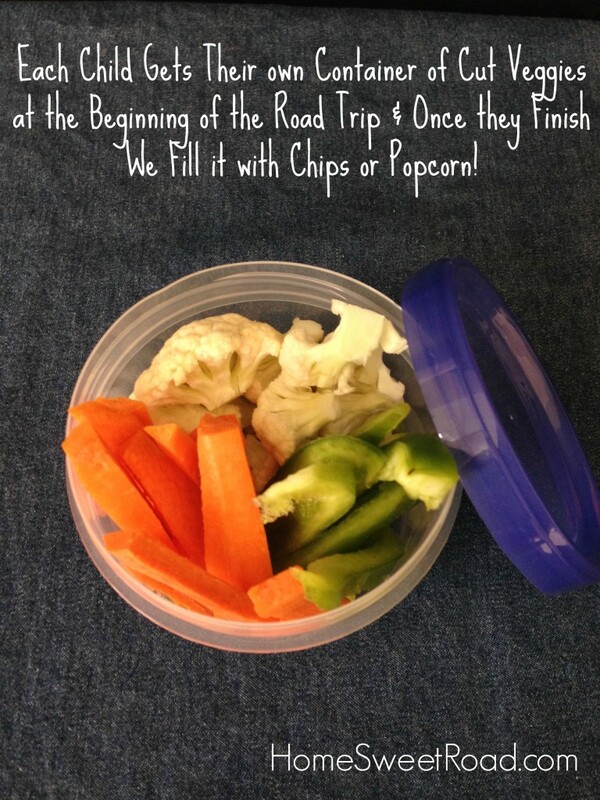 Tell them they can eat the healthy snacks now, and after dinner dig into the good stuff! Have Podcasts or Audio Books downloaded so the whole family can enjoy a story on the way to your destination. Our personal favorite is Adventures in Odyssey which can be found at www.whitsend.org. This can keep the kids interested for a quite a while! Reward them for Resting!!! The kids might fall asleep naturally but a bit of encouragement won’t hurt! Tell them they should be rested up for the day of fun! So nap now…A LOT…like the whole drive if you want to. Don’t Skip the Pit-Stops. 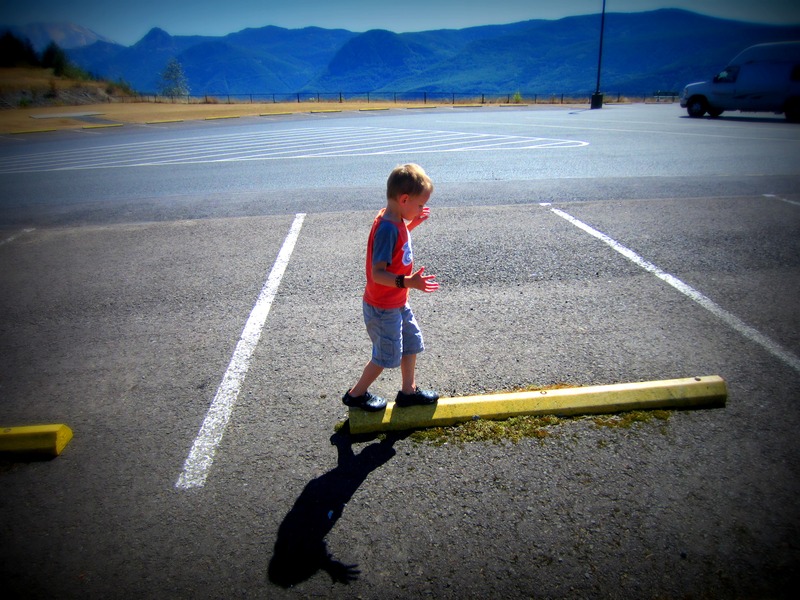 Resist the urge to jump right back in the car but take time to stretch out and let the kids burn some of their energy. Kick the ball around or play tag and get them running. It does add a few minutes to the trip but the payoff is worth it. Avoid Chains if possible, and if the kids are old enough have them help you pick out what unusual or award-winning restaurant to eat at along the way. A local hole in the wall is way more memorable than a quick drive-thru. 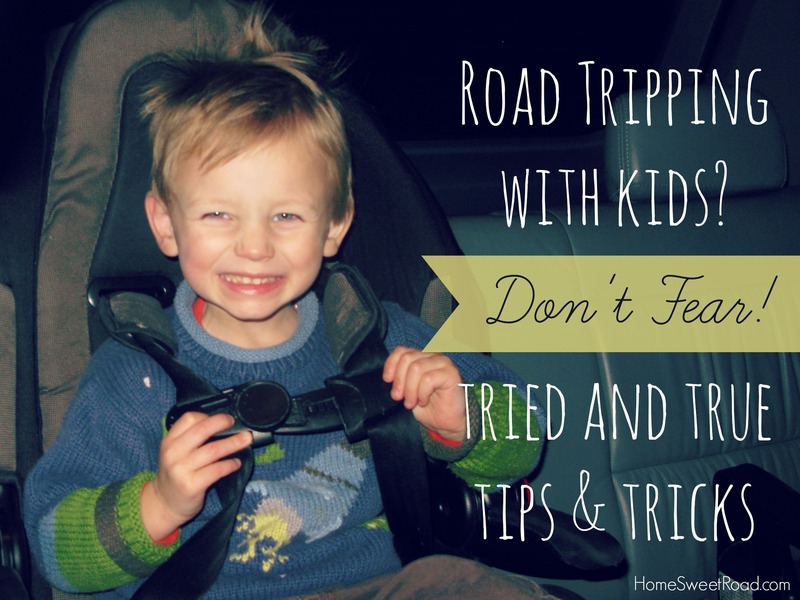 I hope this list of Road Trip Games & Activities is useful for your family and helps you stay relaxed and have more fun on your next long drive! 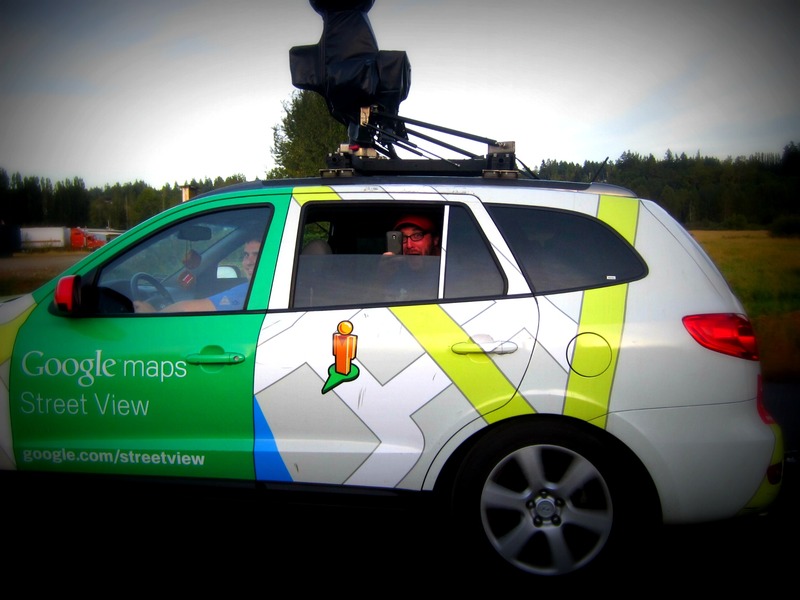 From our personal hours logged on the road, my best advice is to make every positive thing they do a BIG deal. Obviously, if you do that the kids will be more engaged and want to spend more time doing whatever it is they are being reinforced to do. Is there something I missed? 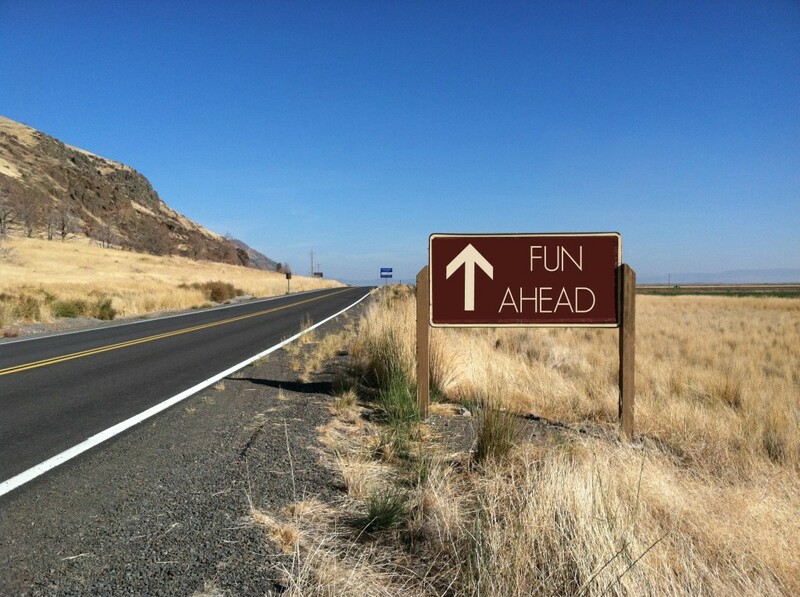 What are your favorite games and activities for the road? I’d love to hear from you, so make sure to add them to the comment section so other traveling tribes can benefit from your wisdom! We need to hit the road again soon for another epic road trip! My family plans to take a road trip this summer. I am a little nervous and hope that my kids will behave. These are great tips! 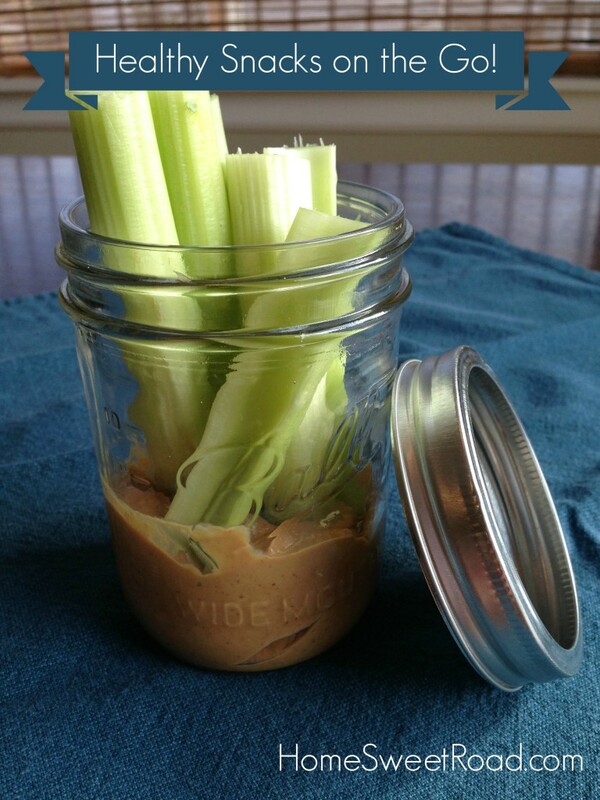 I love the idea about putting celery in a mason jar with peanut butter on the bottom. Clever. Thanks Jenni! Its pretty easy to take them in and clean them out when you make a starbucks stop or fill up at a gas station. The lids are nice because they seal up whatever you end up using the jar for later on.